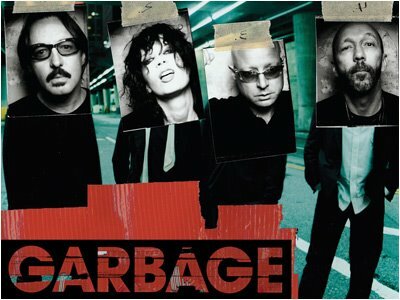 Garbage Greatest Hits – A Websnacker MP3 Exclusive! The Best of Garbage - All the Garbage You’ll Ever Need and More! If you have never heard of Garbage, the fantabulous 7 times Grammy-nominated electronic alternative rock band (famous for the James Bond theme song ‘The World Is Not Enough’), now is the time. An exceptionally talented ensemble featuring Shirley Manson on the vocals with Steve Marker, Duke Erikson and the hit producer Butch Vig for support, Garbage play a inimitable kind of alternative rock that seamlessly blends rock, electronica with elements of grunge, power pop, new wave and even trip hop. Butch Vig incidentally is the producer of such multi-platinum selling albums like Nirvana’s Never mind, Smashing Pumpkins’ Siamese Dream besides acts like the Soul Asylum, AFI and more recently Green Day’s 21st Century Breakdown, which won this year’s Grammy for Best Rock Album. From their self-titled debut in 1995, to their second album in 1998 – Version 2.0 to 2001’s Beautiful Garbage, 2005’s Bleed Like Me and other singles, you’ll find almost all their best hits plus my personal favorites in this exclusive compilation not available anywhere else on the web or at your nearest record store. Download and enjoy the Garbage..its good as gold! THIS IS A NON-COMMERCIAL FAN MIXTAPE. If you like this Garbage compilation, please buy Garbage. You can buy their music at www.garbage.com or directly at www.store.livenation.com/Store.aspx?cp=13281_16771_16025 or at www.itunes.com, www.amazon.com and other music retailers.